In the recent fast world, where the technology and inventions like smartphones, tab, and laptops are dominating the workplace the work addition is increasing. The general thought about a workaholic is that these personalities find it difficult to detach from work. The balance between work and life is important. As per the report from the University of Bergen, the Department of psychosocial science the characteristics of workaholics are that they think more about work even in free time, they will spend more time than required, they work to minimize the depression or anxiety, they feel stressed if they have no work, they give more importance to work and less importance to the hobbies, activities, and exercise. Let me discuss in detail about how to balance the work and life with simple practices. Spending long hours at work is also one sort of addiction. There are so many types of addiction like alcohol, drug, and gambling. The treatment to these personalities is focused towards how to disengage them from work, develop self-awareness regarding the family, educating the value of time management and making them realize about the work life and the personal life, and setting healthy boundaries. The real tendency of these types of personalities is agreeableness, nervous, hostile, inventive and imaginary. This condition affects irrespective of age and education. 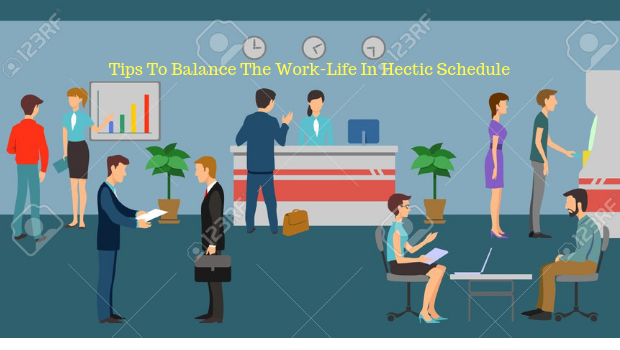 The married personalities and couples with children are likely to become workaholics. Overthinking has a great impact on the health of a person. The condition of imposter syndrome has been found in more than 70 percent of the working class. This condition makes one think that they need to improve constantly. The natural way of enjoying the life and keeping the mind happy starts from practicing yoga, spending correct amount of time for sleep, developing a social life in personal and professional life, and laughing for jokes are some of the ideas which make the mind happy. Only happy mind help to concentrate on the family and profession equally. Impose equality in the company by the way of open communication between the management and the employee in the company. Place some diversions in the workplace like a dog room or game room. This help to start the work freshly and complete the work within the given span of time. Show flexibility in the working schedule and understand the personal problems of the employees.